Michelle and Stacy Conaway started Maid in Katy in 2016 with one vacuum, a steam mop, a cleaning bucket full of eco-friendly supplies and a dream. Today they have several phenomenal teams out keeping the Katy and Richmond area sparkly clean! We are proud of our success and have such gratitude towards our clients and staff members for helping us grow an eco-friendly, pet friendly and fun business! We are a family owned and operated local company. Why have we been successful? We believe that when we take care of our clients and we empower our staff, good things happen. It’s that simple. We love our staff members! All staff members are hired employees – not contractors. They are a part of the Maid in Katy family and are treated as such. What are the top qualities we look for in our professional cleaners? We take care of our staff members, just like family. All staff are paid a living wage (up to $14 per hour after training, more for team leaders). Bonuses are given for superior performance and attitudes. What else? 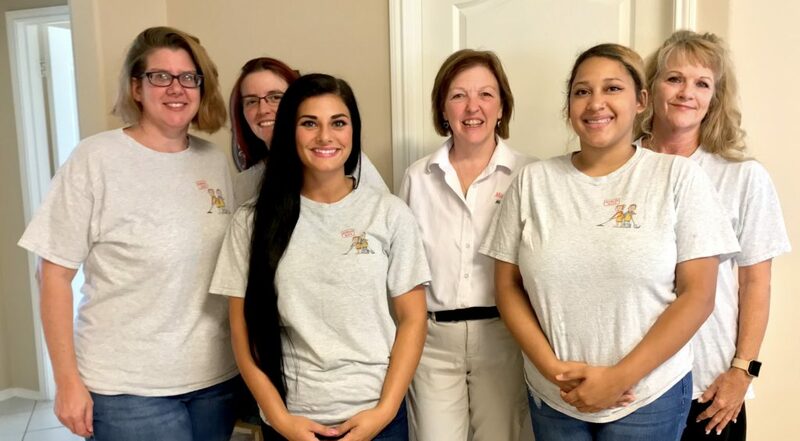 Rest assured, all of our staff members are happy to be in your home and making a difference in your life. By hiring Maid in Katy, you are making a difference in our lives too! Thank you!